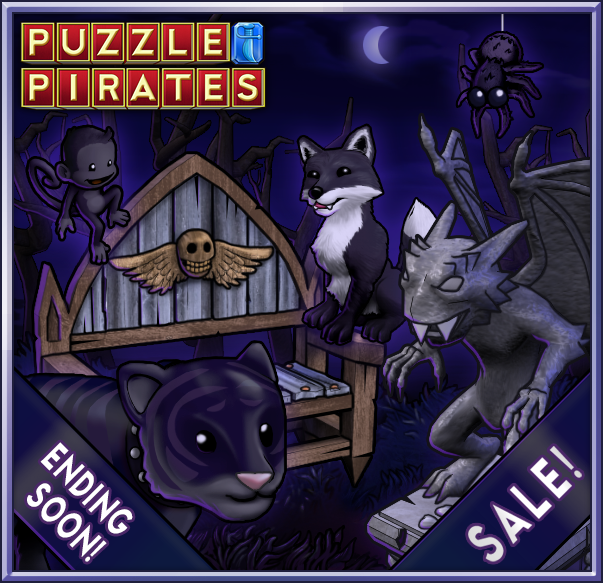 Savor the bounty of the Puzzle Pirates Vineyard in the Wine Mystery Box! As yer well aware, only the finest libations come from a box. No pirate worth their salt would have a bunch of bottles clankin’ around when they can maximize space usin’ boxs o’ wine. Tip one of these boxes back and discover the fruity notes of Dolcetto Dragons, long legs of the Shiraz Spider, oaky tannins in the Tempranillo Tiger, ‘n more! As a special treat, a few lucky pirates will get to meet the winemaker durin’ their tastin’. Grapefoot is an exceptional winemaker with unique knowledge about the process of winemaking. From now until 3:00 PM PDT on November 26, 2018 you'll receive a free Wine Mystery Box for every $9.99 you spend on doubloons, or every month of subscription time you purchase! For more information and the full wine list for the 2018 Wine Mystery Box, as well as the official rules, please click here. Tip the box back and make the best of wine time, before it's gone for the season! Let’s face it, we can’t all be a leader. 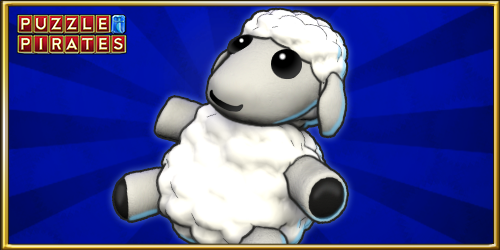 Own a subscription that runs through November, or make a purchase of $9.99 or more this month to receive a Sheep Plushie to be yer newest follower. Now, even if ye don’t captain yer own ship, ye can still have a crew to help ye dig up treasure. Ye hear that noise last night? It wasn’t yer ship. It was yer old mate ye thought had flown the coop. Own a subscription that runs through October, or make a purchase of $9.99 or more this month to receive a Skelly Parrot Statue to rattle around yer cabin. Ye may have identified the rattling, but that’s not the only thing that will bring a chill to a pirate’s heart. Rather than sit around waiting fer it to find ye, we suggest ye go lookin’ fer trouble. 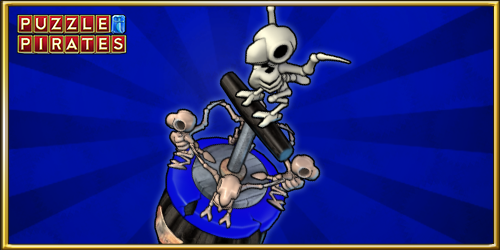 Earn the October Seal o'Piracy by compleatin’ 2 actions to add to yer explorer reputation. This year we’ve asked our chocolate artisans to put together a box with the highest quality cocoa confections. Like all boxes of chocolate, this one has a variety of surprises waiting fer ye. 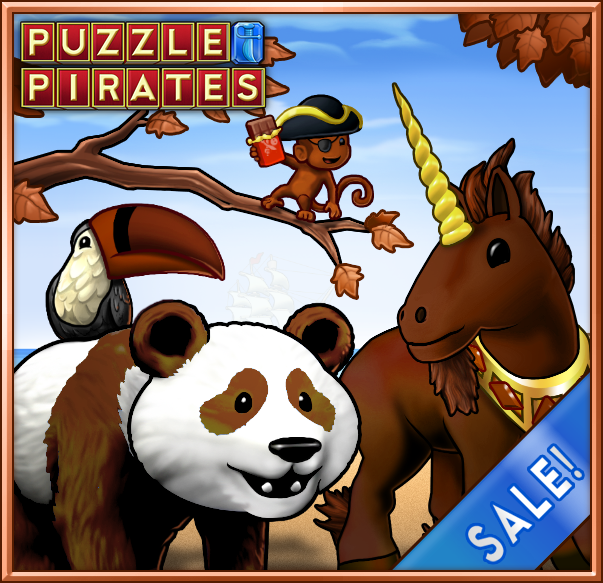 Indulge in chocolate delights like Cocoa Toucans, hat wearin’ Chocolate Monkies, Pandas, Tortoises, ships, furniture, clothing, chromas, 'n more! We won’t sugarcoat it, chocolate is vulnerable at this time of year. Don’t ye worry mates, we’ve made sure to keep them cool so the treats don’t melt. From now until 3:00 PM PDT on September 24, 2018 you'll receive a free Chocolate Mystery Box for every $9.99 you spend on doubloons, or every month of subscription time you purchase! Fer more information about the full contents of the 2018 Chocolate Mystery Box, as well as the official rules, please click here. The Chocolate Mystery Boxes are only available for a limited time, so dip into one today! Fall is approaching and pirates are chompin at the bit to get prepared for winter. 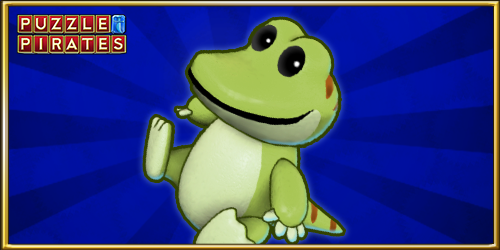 Own a subscription that runs through September, or make a purchase of $9.99 or more this month to receive a Gator Plushie to take a bite out of anyone who will distract ye. We’re gettin’ crafty! 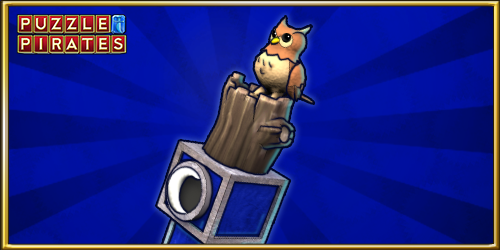 Earn the September Seal o'Piracy by participatin’ in 4 different crafting sessions. This should help prepare ye, winter is coming. The Department o' Treasury has created a Gold Box that’s ripe fer the pickin’. 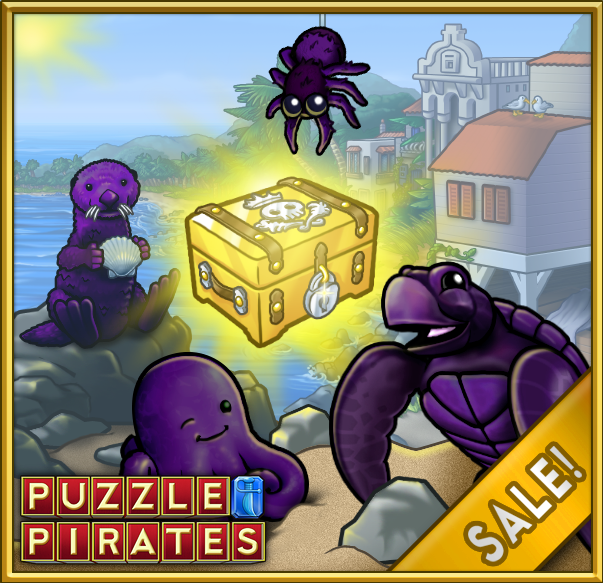 This box is jam-packed and filled with fruity plumder like Plum Octopuses, Double-plum Spiders, Plum Sea Otters, and Plum Sea Turtles! If ye missed yer chance to pick some plum in July, ye have a second chance now. If yer lookin’ fer something with a little more shine, ye can also collect gold trinkets, furniture, pets, and gold chromas! Find Gold Boxes at yer island bank until August 13 at 3 PM PDT. Get the full list o' goods right here. We get it, it’s hot. Ye can complain about it and hide below deck, or ye can have a feast! 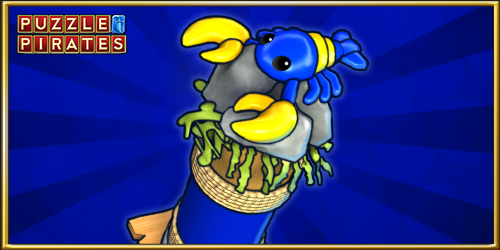 Own a subscription that runs through August, or make a purchase of $9.99 or more this month to receive a Lobster Statue to snack on. Sure it’s probably rude, but it’s also tasty. After yer feast, escape the heat and head to the inn. Ye should have no problem findin’ rum and a scallywag to play a hand with. 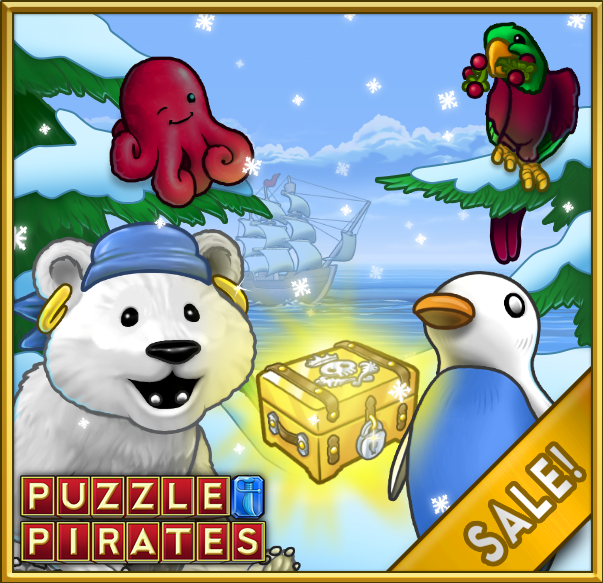 Complete 10 parlor games to earn the August Seal o'Piracy!